Full Height Turnstiles gates are often deployed by buildings in Singapore when it is necessary to reliably protect against illegitimate intrusion attempts and enhance the facilities access control security. 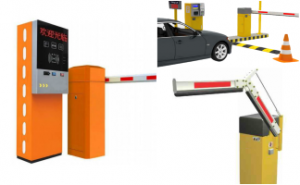 At T3 Security integration, we have over 10 years of experience dealing with turnstile physical security projects, where we have successfully helped clients to implement an effective pedestrian entrance access control solution, such as Swing gates, Flap Barriers, Drop Arm Barrier, and Speedgates. 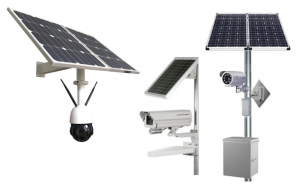 This includes implementing turnstile solutions in highly secured and guarded sites like Military defense facilities, Law enforcement Correctional facilities, Industrial Manufacturing plants, Recreational Sports stadiums, and Theaters. 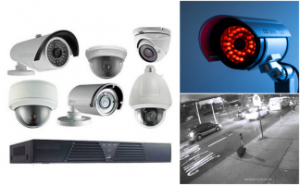 Turnstile gate access control, also known as pedestrian entrance control, is a means or method for metering or controlling personnel that is entering a building facility or campus premises. In most cases, it is sufficient to install a Waist level Half height turnstiles, such as tripods turnstile, Box turnstiles, or Speed gates. However, for restricted high-security buildings, it requires the installation of a full height turnstile. They not only just fully block the passage but can also work in lock chamber mode in the event that an emergency security lockdown of the premises is required. Installation of a canopy can deter against the intruder from attempting to climb over the turnstile barriers. The design of a full height turnstile also ensures that access privileges are granted only for one person by preventing the illegitimate transferring and sharing of the access control credential ID card. Generally, the turnstile access control is operationally integrated with the access control system. In a standard turnstile configuration, the housing unit is equipped with identity credential authentication devices (such as an RFID proximity card reader) which operates with a sliding physical barrier to ensure only one entry is allowed per ID authentication. The mechanical turnstiles and Pedestrian Entrance Controls (PECs) are in many ways functionally similar to the access control doors in a standard security access control system design. 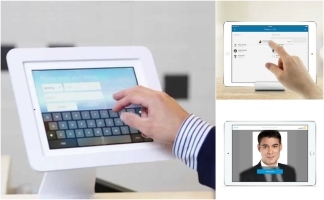 Typically in a standard access control configuration, Proximity access control readers are used for the authentication of employees and vendors. 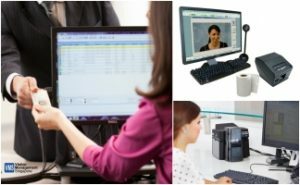 For front desk reception which is unattended, where the security staff is positioned physically far away, a high-security access management of the person entry and exit movement is usually needed. 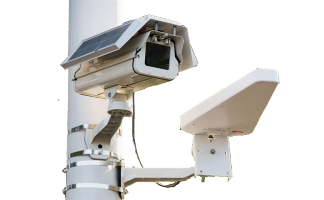 Although there might be CCTV surveillance cameras on the turnstile lanes and the security personnel are unable to react in a swift manner and handle in the situation there is a tailgating attempt or a situation of a denied access of an illegitimate person. Our turnstile has extended cabinets built-in for integration with electronic hardware for enhanced entry and exit detection if needed. Built-in smart optical beam sensors enable the turnstile gates to detect, register and ensure that only one person is granted physical access in each entry access session. 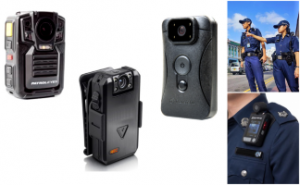 In addition, Smart detection sensors built into the pedestrian entrance control systems also ensure that large items, such as trolleys or luggage bag carried by visitors don’t trigger a false alarm of tailgating attempts. Turnstile is commonly used in a variety of industry verticals which needs the controlling of the pedestrian movement direction at Entry and Exit lanes so as to ensure the human traffic moves in the right direction and don’t move back. Turnstile access control barriers have improved quite a bit since the early days and its designs have become evolved to more effectively regulate and meter in access of only one person at any a time into the building facility such as Stadium, Concert Theatre or to any place that required an paid admission fee. Having a turnstile also helps to ensure all passengers have a valid ticket or boarding pass. In recent times, we have noticed an increase in popularity of turnstile in various Transportation centers, Train stations and Airport hubs where it is used for managing the direction of the people leaving the facility. Having a turnstile helps to Restrict and Control entry and exit movement of people in Corporate buildings facilities or Regulatory environment where Sensitive financial data, public security information is stored. We have worked with customers who are in industries which are highly classified in nature, such as Health-care & Health Insurance field, which is regularly subjected to stringent security checks. 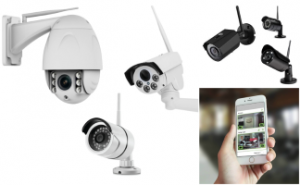 Due to the large volumes of highly sensitive private client and patient health information that they are responsible for maintaining, it’s highly a high priority to make sure that that private information is safeguarded securely inside those buildings. To serve as a measure to deter against Acts of terrorism, which can happen in any place and any time. 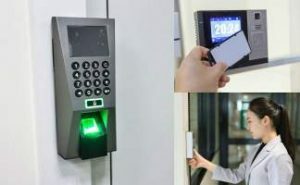 Having a turnstile access control can help to make sure that every person entering the building is authorized and has a valid reason to gain access to the company facility. 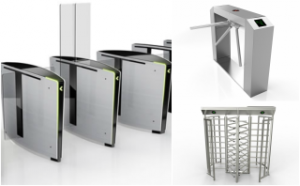 For a comprehensive and holistic deployment of a turnstile solution for effective entrance access control at an organizational level, it needs the consensus of various key stakeholders within the company who are closely involved in driving the Buying decisions, Budget allocation, and Schedule time-line as well as the defining the Design process and Technical specifications. We recommend you to speak to one of our security consultants or integrators so as to help you make a better decision when selecting a turnstile. Throughput and passage width are critical factors when choosing a turnstile gate. The throughput is calculated according to Peak load at the security front desk. The passage width of the Turnstile lanes influences the convenience and comfort of the user experience. * For example, Tripod generally has a narrower passage width and throughput (persons per minute) in contrast to Speed gate, which has a wider passage width, and higher throughput.